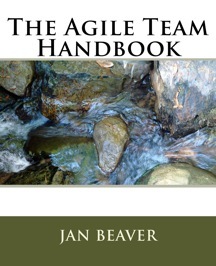 The Agile Team Handbook, Second Edition - Done! 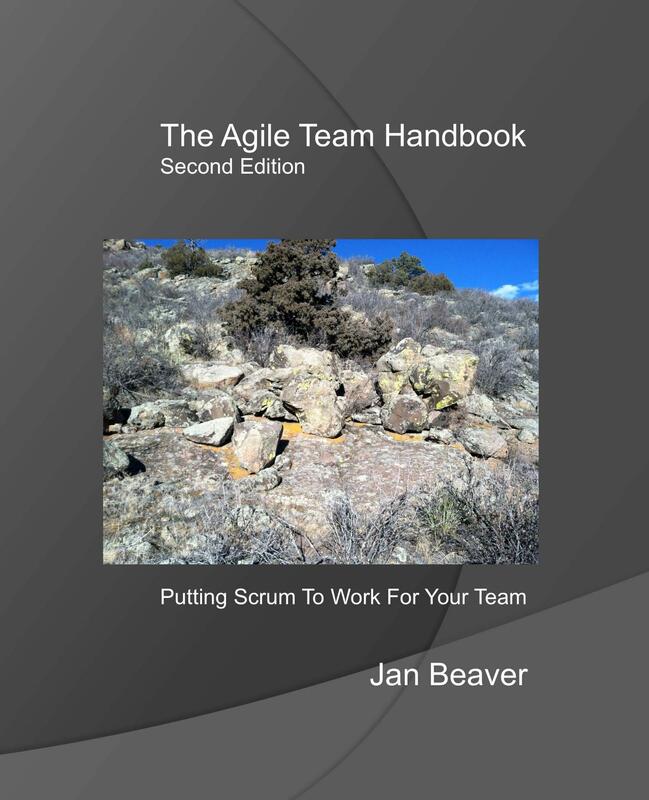 Completely revised and expanded, The Agile Team Handbook, Second Edition, will help guide you, your Team, and your organization on your Agile journey using Scrum. Now available in paperback and Kindle! In a reprise of my well-received presentation in Atlanta (see below) a few years ago, I explored the topics of cross-funtionality and teamwork in this updated and expanded workshop. I moved my blog to http://greyrockagile.com/blog. My old blog will stay put (http://coachingagile.blogspot.com) but will not be updated. For all new blog posts, visit my new blog location. My original web design was very basic but not really adequate, so here's the new design! I hope you like it and find it useful. Coaching a Scrum Team is no simple trick. As a ScrumMaster or coach, you deal with Team problems every day. You use the Scrum framework as much as you possibly can, but what do you do when you don't know what to do? Let's put our heads together to examine four very real, very difficult Team scenarios and explore different approaches to bringing about Team improvement and growth. In this session, we'll generate insights on how to deal with the Team Dictator, the Ambivalent Team, All Out War!, and the Team of Victims. The Agile Team Handbook - Done! The book is done!! Seems like only yesterday I dreamed up the concept and started writing. That was almost two years ago. It's amazing how time flies when you're working on a book evenings and weekends. Please read it and let me know what you think! Cross-functional teams are the engine room of an agile organization. Yet cross-functionality doesn’t just happen and is surprisingly difficult to achieve without concerted effort. How cross-functional is your team? How do you know? How will you know when a team has increased its cross-functionality? This session explores the benefits of cross-functionality and introduces a handy visual tool for Scrum Masters and agile coaches to assess team cross-functionality, identify skill gaps, and demonstrate progress toward the goal of becoming a truly cross-functional, high-performing agile team. Teams new - and not so new - to agile tend to over think or fall back on old habits. The result is often excessively complex work management structures, from multifaceted, multilayer backlogs to task boards that reflect many process states and degrees of “doneness.” Such complexity locks teams into accustomed functional silos and non-collaborative work patterns. In this session, we will dial back the complexity and explore the meaning of this key agile principle in action. One of the defining characteristics of an agile team is collaboration. Yet many teams, even those that have been practicing agile for a while, engage in cooperation rather than collaboration and do not realize their potential for creativity, inventiveness, and effectiveness. In this session, we will explore the key differences between cooperation and collaboration and use example scenarios to brainstorm ways to get beyond “yes” and into a state of creative disagreement that drives both innovation and team maturity. Organizations adopting agile need to move away from traditional management and embrace leadership at all levels. But what is leadership? And how do we transform a culture of management into a culture of leadership? This talk examines the origins of traditional management and its limitations when applied to creative knowledge work; the emergence of servant-leadership; the importance of self-organization for motivation, innovation, and creativity; and provides guidance for building a culture of leadership.